Police say the bank robber went to the pop star's Rhode Island mansion where he threw cash over a fence in an attempt to impress her. 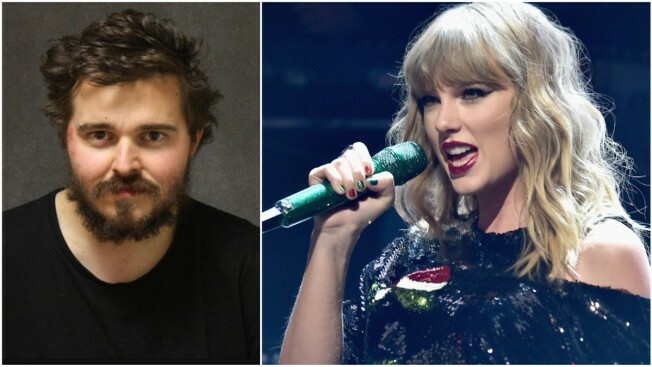 Police say a Connecticut man with a crush on singer Taylor Swift robbed a bank and then went to the pop star's Rhode Island mansion where he threw cash over a fence in an attempt to impress her. Bruce Rowley, of Derby, is charged with robbing an Ansonia bank on April 4. Police say "it seemed he wanted to propose" to Swift, so he drove about 60 miles to Westerly, Rhode Island, and started throwing some of the roughly $1,600 he's charged with stealing over Swift's fence. Rowley was pursued by Rhode Island State Police back to Connecticut where he was arrested. That's where he allegedly told police about his plan. The 26-year-old Rowley was held on $100,000 bond at his arraignment Friday. Online Connecticut court records don't list a defense attorney.